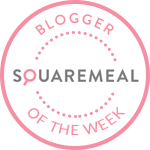 Emily's Recipes and Reviews | UK Food Blog | Leicestershire : indulge in häagen-dazs salted caramel ice cream stick bars. Retailing from £2.29, these ice cream are definitely a treat. The delicious Belgian chocolate shell melted in the mouth to reveal the great quality ice cream Häagen-Dazs is known for. Ice cream and chocolate lovers alike will be pleased these aren't the only flavours to try either. The range of three also includes Vanilla Caramel Almond and White Chocolate Almond, made from medleys of vanilla caramel swirls or white chocolate outers, completed with scatterings of crunchy almonds. I'm yet to track these down but they both sound delicious to me! 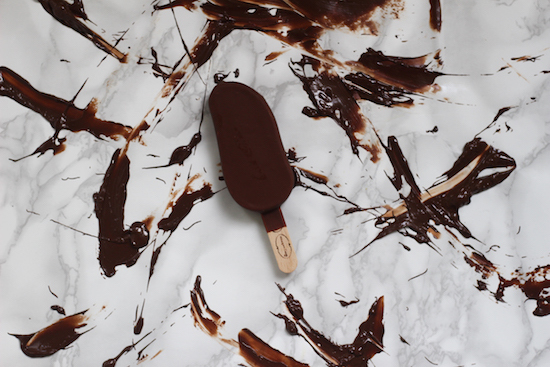 So I'm sure you're wondering where to get your hands on this tempting treat before the sun goes back into hiding? They currently retail in Tesco Express, Co Op stores and some independent convenience stores. As well as the usual freezers, make sure you check out the freezers to-go with the individual ice creams - that's where I found these beauties! 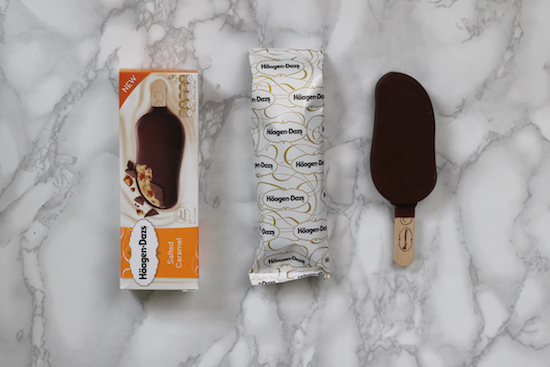 Have you tried the new Häagen-Dazs stick bars? Which flavour did you like best? 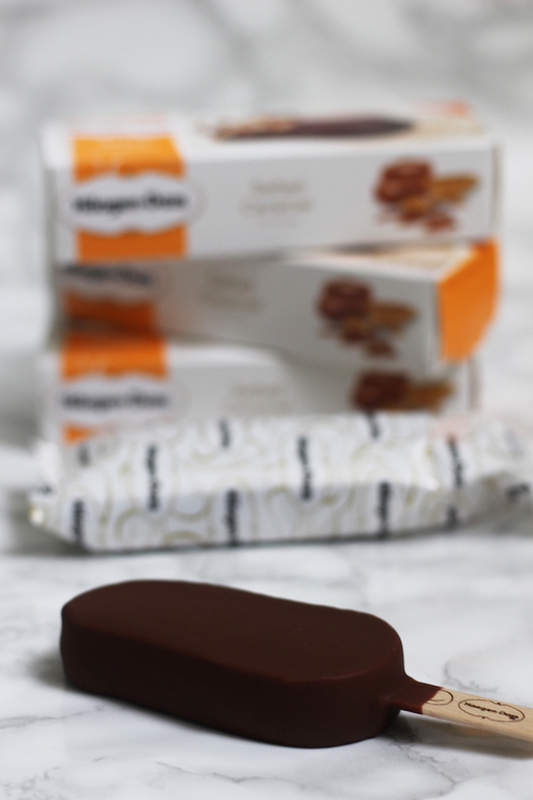 Or do you have a favourite Häagen-Dazs ice cream flavour that you wish they'd make into an individual ice cream? I tried the salted caramel this Summer! Amazing! I only wish more places stocked the ice cream stick version rather than the large tubs.